computing and emerging technology areas. Our industry experts are the former IDC high performance computing (HPC) analyst team, which remains intact and continues all of its global activities. The group is comprised of the world’s most respected HPC industry analysts who have worked together for more than 25 years. Economic leadership increasingly results from a nation's, an industry's, or an enterprise's application of supercomputers in innovative and productive ways. The U.S. Department of Energy Office of Science, Office of Advanced Scientific Computing Research, and the National Nuclear Security Administration fund the dissemination of information about ROI (return on investment) and ROR (return on research) from projects enabled by HPC. HPC User Forum was established in 1999 to promote the health of the global HPC industry and address issues of common concern to users. Each year, two full-membership meetings are held in the United States and two in international locations. The User Forum is directed by a volunteer Steering Committee of leading users from government, industry/commerce and academia, and is operated by Hyperion Research for the benefit of HPC users. 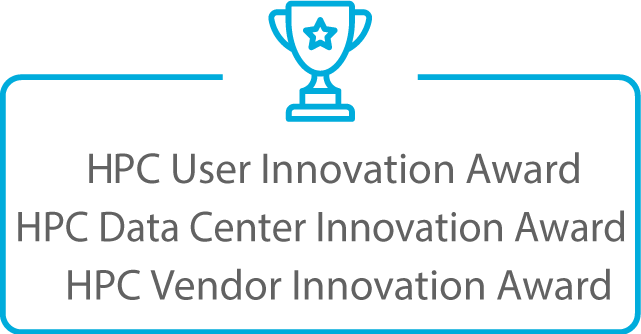 The HPC Innovation Awards are given twice a year to organizations that have made outstanding achievements using high performance computing. The three award categories showcase ROI and success stories showing HPC’s impact on increasing economic value, advancing scientific innovation and engineering progress, and on improving the quality of life worldwide. Hyperion Research is the new name for the former IDC high performance computing (HPC) analyst team. As Hyperion Research, we continue all the worldwide activities that spawned the world’s most respected HPC industry analyst group. For more than 25 years, we’ve helped IT professionals, business executives, and the investment community make fact-based decisions on technology purchases and business strategy. St. Paul MN 55102, USA.